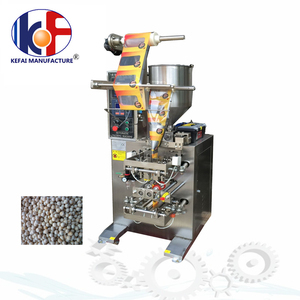 Automatic Small Mini Cashew Nuts/Raisin/Peanuts/Seeds Snack Packing Machine Scope of application This machine is widely used to pack any loose,non-cohesive granule products of the food, phaeceutical, and chemical industries,such as soup mix,coffee,instant drink mix,desiccant, monosodium glutamate,sugar,salt,cereal etc. Machine Picture: Machine features: 1. This machine can finish : forming bag--measuring--material filling&mdash;sealing&mdash;counting&mdash;date code printing, all the work automatically; 2. Photoelectric and tracing system or computer system can be provided without your specific requirements. 3. The PLC controller has the advantages such as setting the length of the bag; the out put alarm and the speed and quantity with buttons; 4. This machine can be installed to code printer for 1-3 lines characters such as production and expiry date according to your special request. 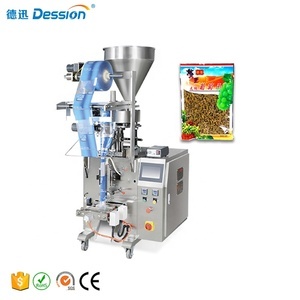 Foshan Chuanglibao Packaging Machine Co., Ltd.
high quality snack/roasted peanuts/sugar small volume cup packaging machine Technical characteristics: 1. Step motor drawing film, screen adjustment parameters, simple operation. 2. 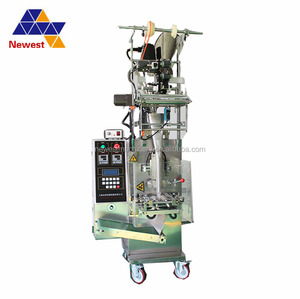 With advance photoelectric control system, with powerful expanded function, joint packing device, punching device, satisfied with difference product requirement. 3. It can finish bag making, measuring, sealing, cutting, date printing and product output in one operation. Tianjin Golden Alliance Machinery Co., Ltd.
Guangzhou Yilugao Packing Machinery Technic Co., Ltd.
Shijiazhuang Mangteng Electromechanical Equipment Sales Co., Ltd. 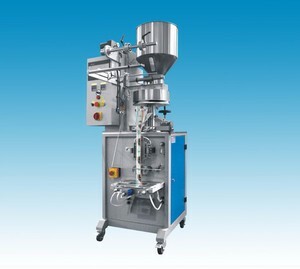 It has the functions of automatic bag making, metering,filling,sealing,sealing and cutting etc. 2. 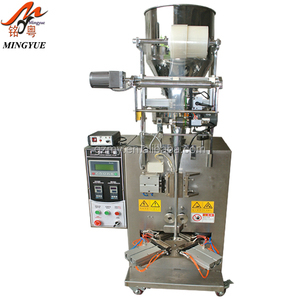 The packing machine is suitable for small particles and some powdery materials which I is non-stick such as cornmeal, puffed food, granulated sugar, aginomoto, medicine, chemical raw materials,tea etc. 3. It is automatic measuring the packet length, without artificial involved in the length of the packaging film set. 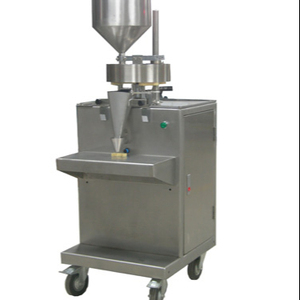 It can keep Multihead Weigher Packing Machine safe and avoid damaging during transportation. Our wooden packing is very strong,ensured that customer can received the machine in good condition. We have outstanding quality control personnel as well as trained technical workers. Shantou Yiqiwang Machinery Co., Ltd.
Foshan Ocpack Packaging Machinery Co., Ltd. 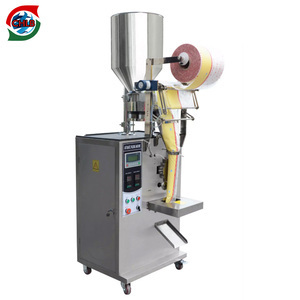 The namkeen pouch packing machine suitable for package of foodstuff, seasoning, medicine (For example: puffed, fried fresh chip, cracknel, mooncake and so on. ) Belong to packing material of hot-sealing, such as polyester/polyethylene, nylon-compound membrane, strengthen-compound membrane, BOPP and so on. &diams; Online/Sale service : 1.super and solid quality 2.fast and punctual delivery 3.standard export package or as customers' need. Shanghai Yuquan Packaging Machine Co., Ltd.
Foshan UI Machine Co., Ltd.
Foshan Nanhai Zhongchuan Machinery Co., Ltd.
Our major products include automatic flow packing machine series, pillow packing machine and vertical packing machine series. We have 10 QC for checking all machines before loading,the sales also would take photos and videos for customers if the machines were ready to be packed,therefore quality is 100% assured. We could send you machine manuals and operation videos to make sure you could operate the machine well and for the spare parts,we promise we would give the buttom price if you ordered. Foshan Ketian Packaging Machinery Co., Ltd.
Foshan Soonk Packaging Machine Co., Ltd. Features: 1,The machine is featured with compact structure,durable,logicadesign and precise. 2,Adopts light sensor control system,stepping motor control film transporting system,reliable,and stable performance. 5,With spring pressure knife principle,pneumatic cutting,5 linking bags is more stable. 3. Automatic adjustment of pouch size and filling range. 6. The operation facility is controlled by American intel computer, all function is displayed with digital screen. 8. Sealing part: Roller spend process is special designed and the effect of sealing is very well.